When I was in high school, I was in speech club. We went to competitions on the weekends. I mostly did the news radio category: I would receive stories from the AP, then edit them down to a minute, then read them into a microphone. I also did something in the humorous presentation category. John’s sister Rebecca did the dramatic presentation category one year, and the story she told has stuck with me all these years. More than once, I’ve tried to find it on the internet and just couldn’t. Until yesterday. I was preparing a poetry lesson where one of the poems was about watching a scary movie and wondered if I could find this scary story Rebecca told. I did! HERE it is. It’s called “The Whole Town’s Sleeping” by Ray Bradbury. Rebecca read a shortened version of it. She might have had a little introductory material, but then she read pretty much from the right-hand side of page six, starting with “Levinia Nebbs walked alone down the midnight…” and went to the end. I read it to my Language Arts classes yesterday. It was fun. 2 Responses to I Found It! P.S. The chicken picture didn’t show. We demand the chicken!! Now there’s something you don’t see every day, Chauncey! 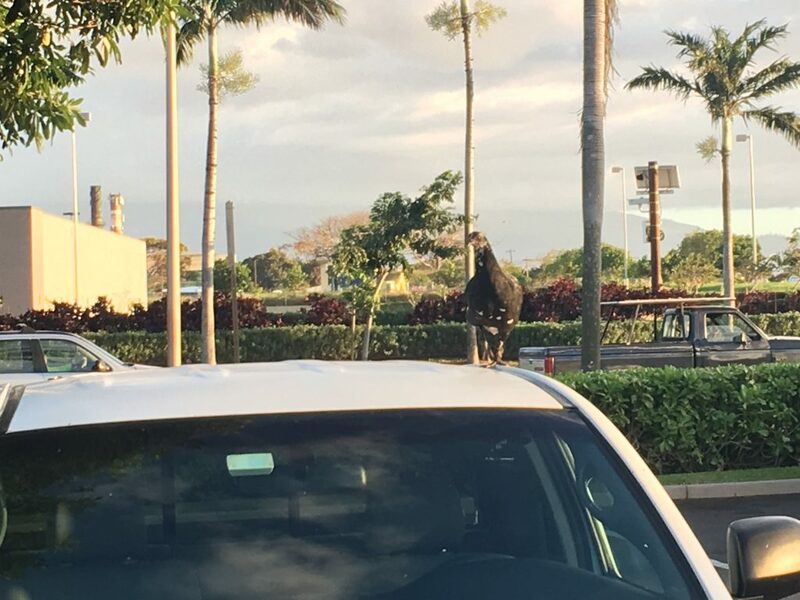 Some folks had reindeer antlers up there on their car roof for the holidays, but I can honestly say that I never saw a holiday chicken. Creative car decor, I must say.